Just like when we came from version 6 to 7, now all times (calendar, Synchonize with TheBRain Cloud services dialog etc.) are marked with am/pm regardless of the windows locale settings. For me am/pm only confuses me since I live in a country that use 24 hour notation. Please make the calendar useful again by observing the locale settings as you normally do. I've just tested this and see no issue. 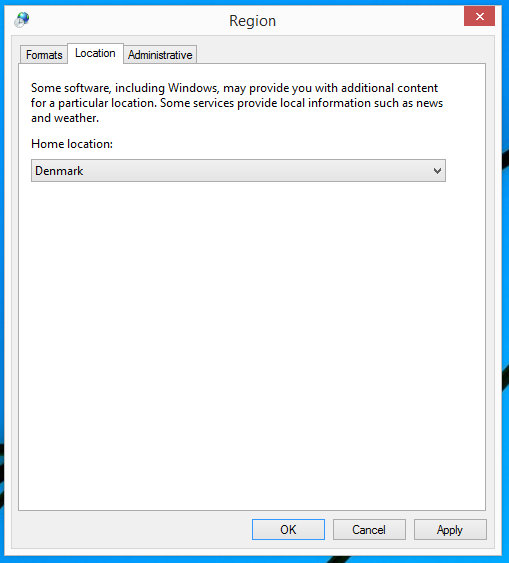 Please close TheBrain and make sure your region is selected properly in Windows under Control Panel > Clock, Language and Region > Region under both the Formats and Location tabs (shown below). After you have done this, restart TheBrain. Control Panel settings are correct on my machine. The are set as you have shown above (and always have been! ). 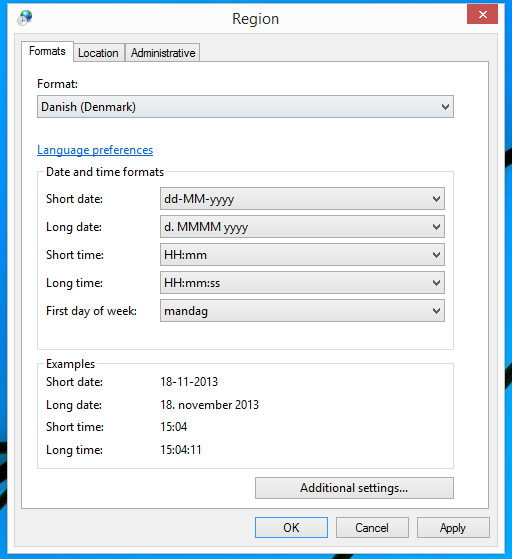 Danish formatting is correctly shown in all other programs on the PC! Still TheBrain shows am/pm in for example the calendar, but the names of the weekdays are correct, as are the month name. No point in inserting my control panel setup as it is identical to the one you posted. But here are som examples with am/pm in TB. By the way, this is on my Windows 8 PC. I will check to see if it is the same on my Windows 7 PC at home later today. Very strange. It's working perfectly on my Windows 8.1 machine. Can you try changing your Regions settings to English US, start TheBrain, then close the Brain and change your region settings back and re-open TheBrain. If this is still not working perhaps we can setup a web meeting to troubleshoot this in person.